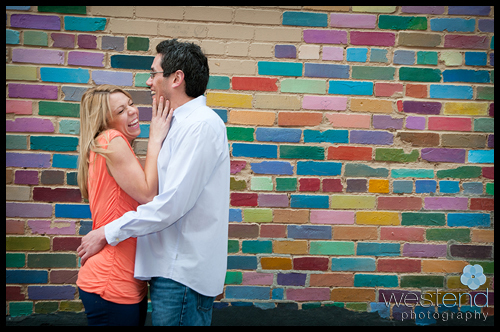 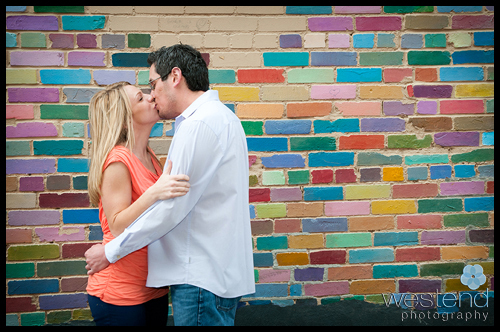 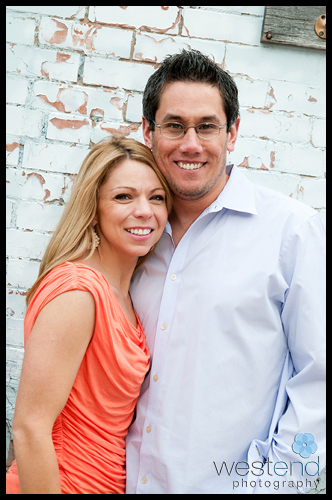 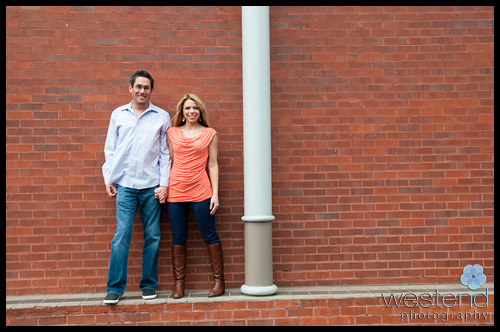 This couple from Dallas and I had a wonderful time working together at their engagement session. 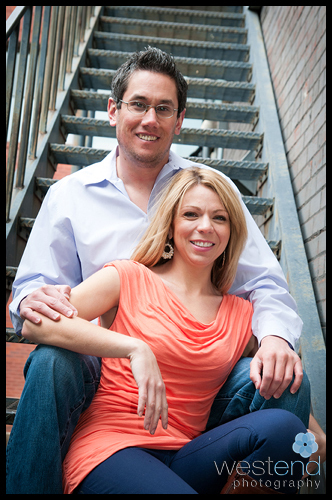 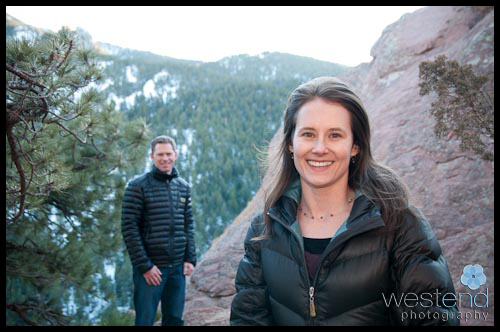 We started making images in downtown Boulder and then moved into the foothills for some scenic photography backgrounds. 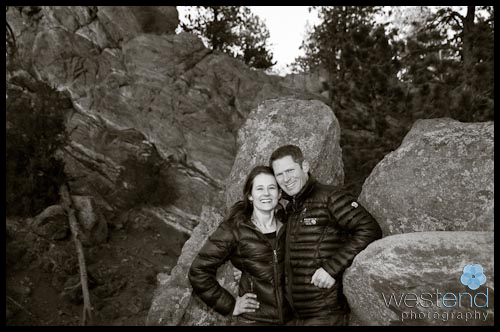 It was refreshing to spend some time in the mountains with people who don’t live here, lest I forget how special this place is I call home. 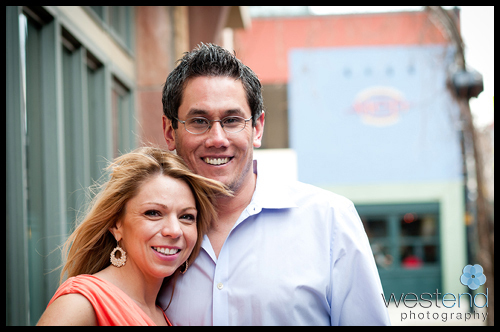 Stephanie is the second person this year I have photographed who sings professional opera! 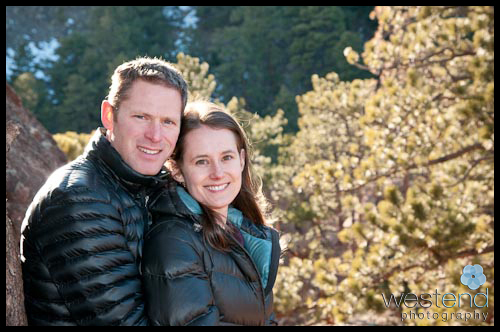 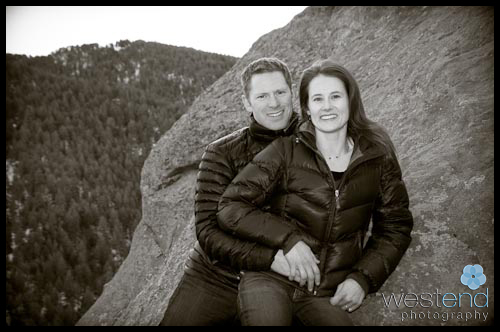 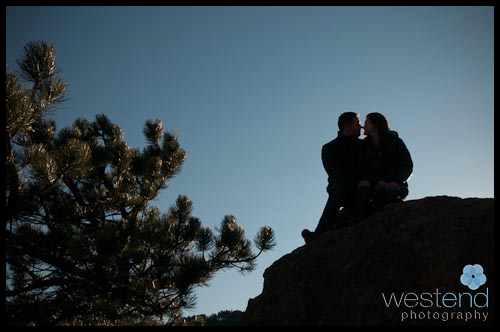 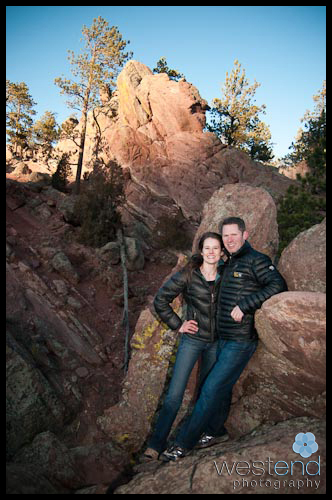 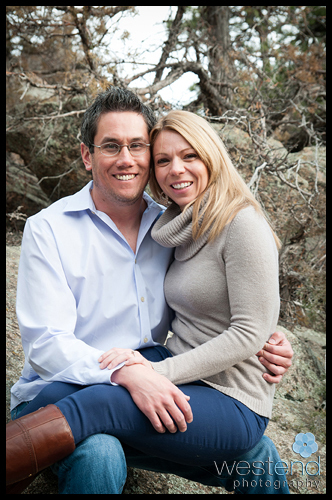 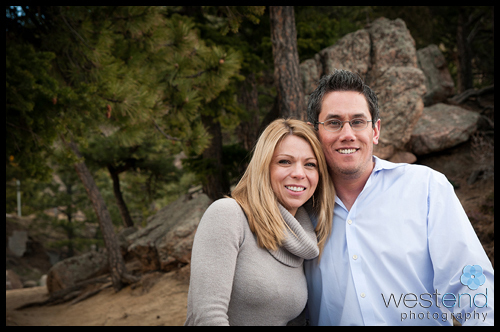 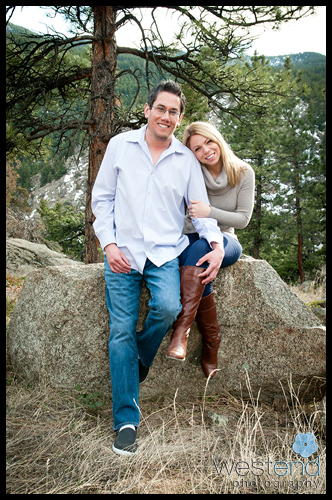 The dramatic scenery just outside Boulder is great for engagement portraits. 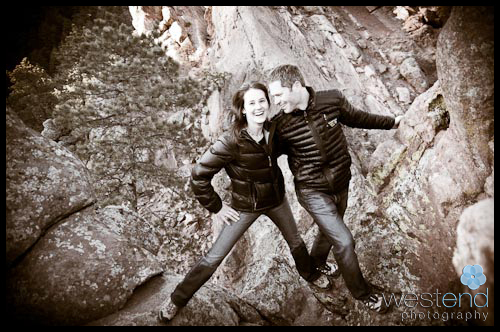 Shannon and Per were adventurous rock climbers who went places I didn’t dare step foot. 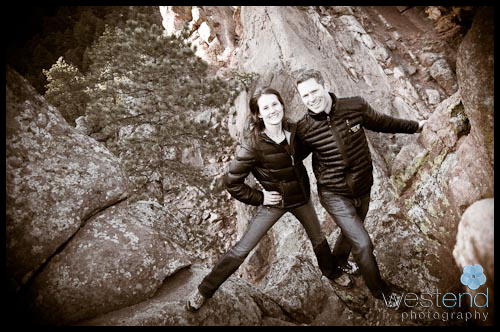 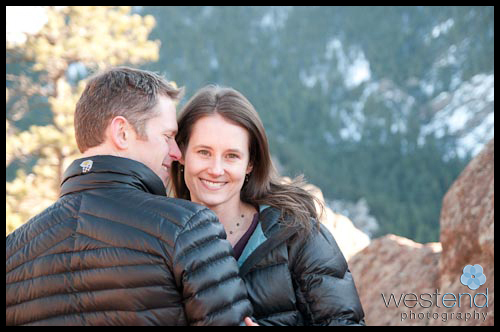 The weather was cool but we still had fun exploring the mountain site and making these fun engagement photos. 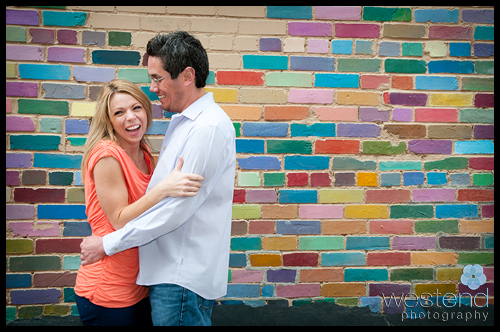 I anticipated a mountain lion to come around the corner at any moment but she never did.